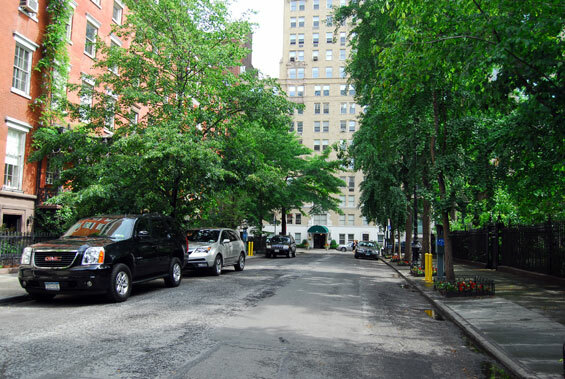 Address: 1 Gramercy Park, Manhattan. 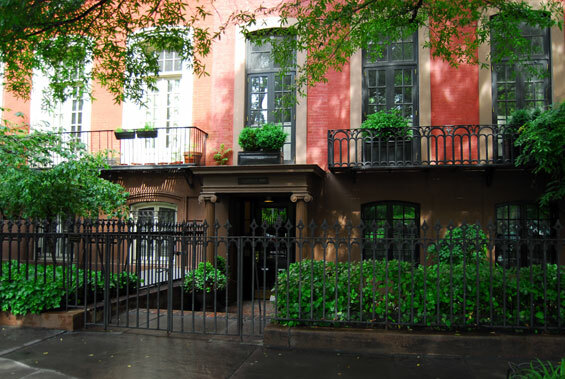 The townhouse which surrounds Gramercy Park was built btw 1844 and 1850. 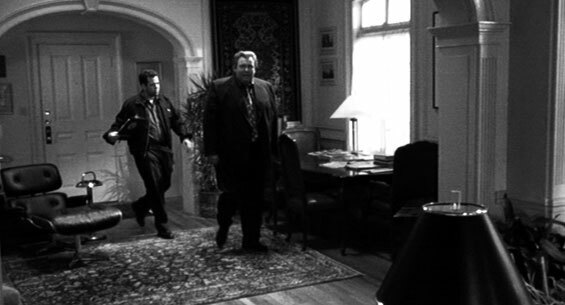 Jack Gable, is a soap opera writer who lives in a small apartment in Gramercy Park. The show Jack produces, All My Dreams, takes place in the fictional Ashford Falls, a wealthy, sleepy suburb of New York City. 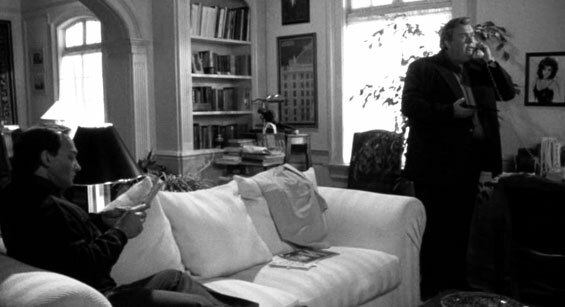 Jack has a infatuation for actress Laura who plays Rachel Hedison in the show and will do pretty much anything to keep her in the show even though the other producers would prefer to replace her. 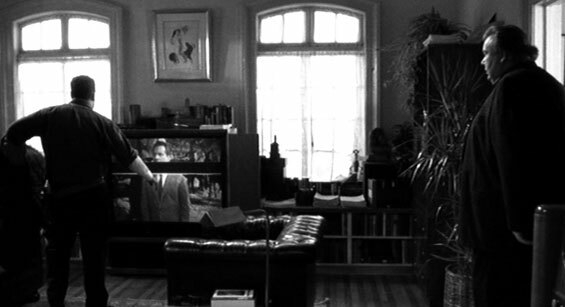 Away from work, Jack also likes to watch the show on his large cable TV system which in recent weeks has been suffering problems with channels 2 and 7. At No. 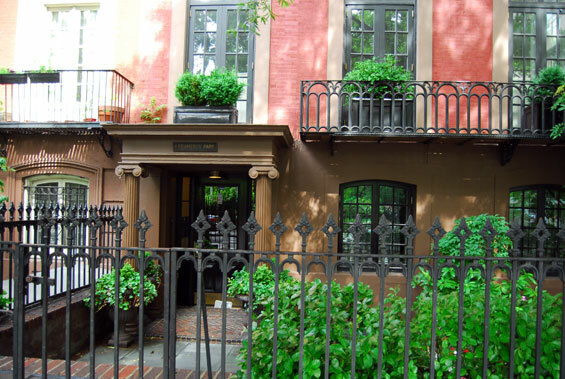 1 Gramercy Park West, once the home of the famous surgeon, Dr. Valentine Mott, there is an Ionic portico; though a later addition, its simple lines and fine design are charming for this house built in 1839. The roof of the portico rises to the height of the balconies of the structures on either side and thus creates a continuous, unified horizontal line. otsoNY Comments: The property was only used for exterior use. It is still there for fans to see. Facing directly on the Park at its western end, are five town houses dating from 1844 to 1850. These structures represent a variety of architectural styles, ranging from Greek Revival, at numbers 3, 4 and 5, with their simple mouldings and decorative cornices to the more ornate Italianate houses at Numbers 1 and 2, with their windows framed in a series of segmental arches. Despite the differences through the remodelling of their architecture, they nevertheless appear as a harmonious group. This unity results primarily from the uniform height of the buildings, the continuous horizontal accent of their windows, the uniformity of their cornices, extending the entire length of the group, and the sense of age which dominates them all. This element of unity is further enhanced by the use of brick and the fact that they all have three windows in their width. Of special note are the cast iron porches at Numbers 3 and 4. Their opulent Greek Revival design is attributed to the architect Alexander Jackson Davis, and they add a memorable elegance and gaiety to the simple facades. These iron , porches, located near the middle of these five houses act as an element of focus and add the final note to the unity of this handsome group. In addition to the cast-iron porches, the richly moulded doors and entranceways at Numbers 3 and ii are items of special note. 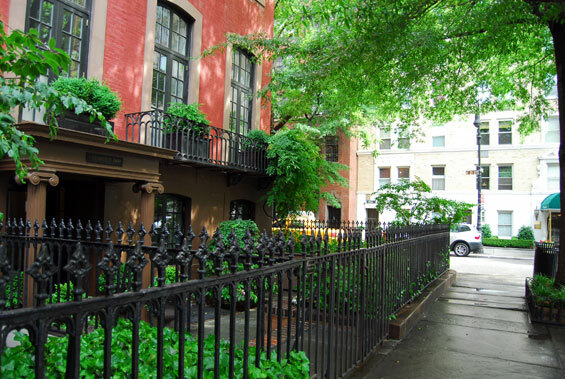 Number 4 was the home of James Harper, Mayor of New York City from 1844 to 1847. 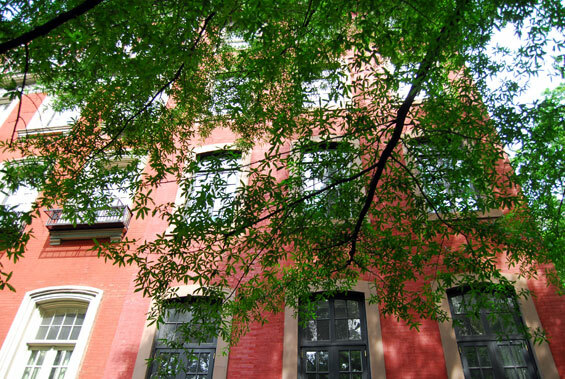 Gramercy Park has always represented a distinct and notable neighbourhood in the City of Now York. 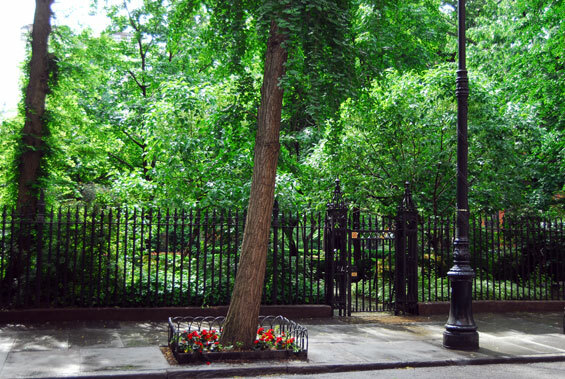 The Park is a private square, the second and last created in the City; the first, Hudson Square or St. John's Park/ which Trinity Parish laid out, has long since gone. Today the Park, beautifully planted and carefully maintained, is generally restricted to owners; the original deed provides that each of the lot holders has a key. The Park, originally planned as an attractive inducement for real-estate development early in the nineteenth century, has established the character of more than the square. From the first, it was a residential neighbourhood of large houses for prominent people and the glamour of the Park reached out into the nearby streets. Because it is unique now for its private ark and because of its exceptionally rich heritage of over a century's residential architecture, we propose today the designation of . 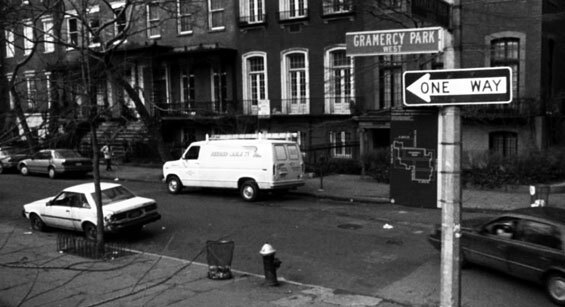 the Gramercy'. Park Historic District: consisting largely of the Park, and those streets to the south which have, to an unusual degree, maintained their purely residential use. 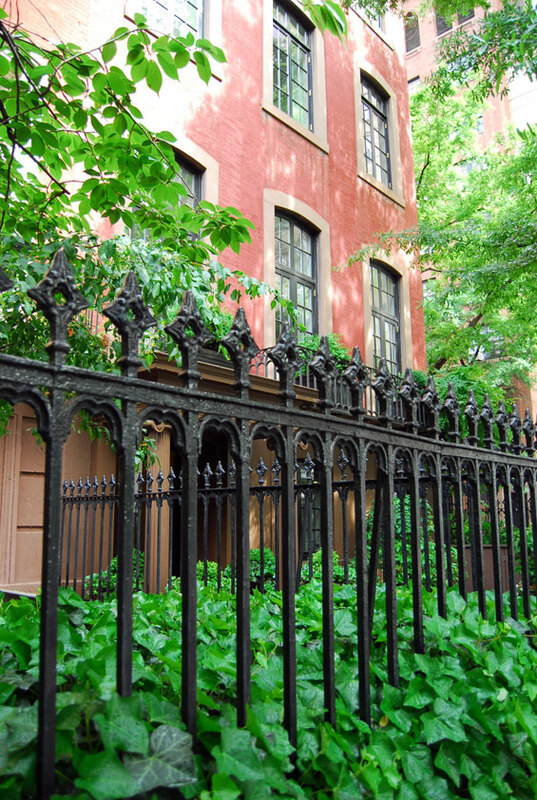 The Gramercy Park Historic District is a unique area in the midst of an immense City. This district is today serene and coherent because it reflects the quietness of a park and also of another century. It is an area in which the original beauty was so great that it has boon able to resist, to a remarkable degree, changes which could have destroyed it. 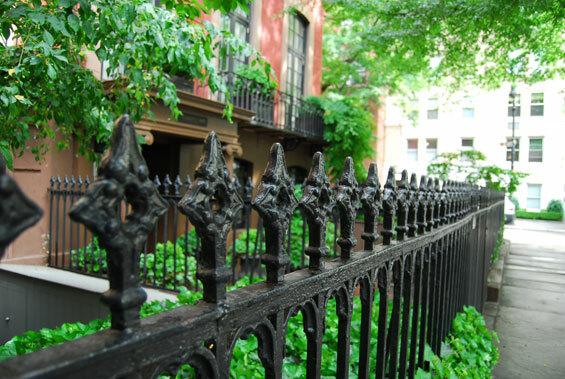 Unlike any other district in New York, Gramercy Park, which was planned as a fashionable residential neighbourhood, has always remained a fashionable residential neighbourhood.